The more it changes the more it’s the same thing – French proverb. 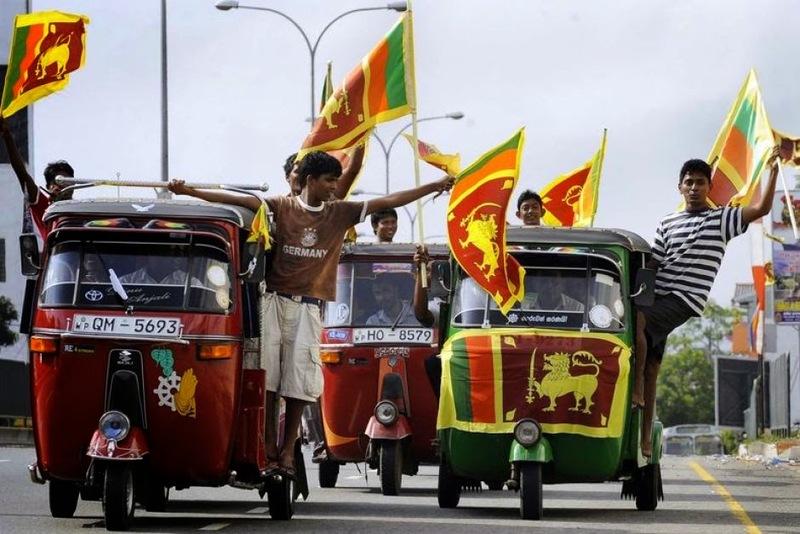 ( November 29, 2014, Colombo, Sri Lanka Guardian) According to widespread Sri Lankan perceptions, we came to a cross roads by 1989 and in 1994 we chose what seemed to most of us to be the right road, which would lead to definitive solutions of the two major problems bedeviling us: that of restoring a fully functioning democracy and establishing unity through a solution of the ethnic problem. Today, twenty years later, many Sri Lankans, perhaps most, share the perception that we have again come to a cross roads at which it is imperative to choose the right road that would lead to definitive solutions of the two major problems bedeviling us: the restoration of a fully functioning democracy and the establishment of unity through the solution of our ethnic problems. It looks like the more it changes the more it’s the same thing. Or rather it’s the same thing but worse, because we now have two ethnic problems – the Muslim one as well – instead of just one. That fact suggests that the major problem underlying everything else in Sri Lanka is that of establishing national unity – which is the main case that I will be advancing in this article. It should be useful to chart the salient points in the political trajectories that led to the two cross roads because that could enable us to spot common factors between them. When the Jayewardene Government came to power in 1977, it was the confident expectation of most of us that problems that had been bedeviling us for decades would be set right. In the economy there was a turning to the market leading to phenomenal economic growth, a change that has established itself as irreversible. JRJ showed himself to be more prescient about our economic future than any of our other leaders, and wrought the bourgeois revolution that traditional Marxism saw as the necessary penultimate stage before the establishment of socialism. That was a major achievement, but it was his only one. Since he and his Government had overwhelming popular support, hardly anyone expected that he would want to deviate even one jot from democracy, but he quickly made himself a dictator. On the ethnic front, we confidently expected that the promised all-Party Conference would be held without much delay, resulting in a definitive solution to the ethnic problem. Instead he unleashed a program of State terrorism which reached its apogee in the holocaust of 1983, resulting in the thirty-year war. The record was as follows by the time he relinquished office in 1989: there were two rebellions going on simultaneously in this small country; the IPKF troops were here behaving like conquerors; and the Government had lost control over a third of the national territory and half the coast line. Premadasa also continued the dictatorship and could not solve the ethnic problem. In 1994 we chose an alternative road. The market oriented economy was continued with – for the most part – very satisfactory growth rates. The economic difficulties we are experiencing, along with many other countries, can be seen – partly at least – as following from the defects inherent in the capitalist system. Democracy was restored. On the ethnic front our Governments were over a long period very accommodative but a solution eluded us mainly because of the intransigence of the LTTE. However, with the assumption of power by President Rajapakse the road has been veering in a totally different direction. But we must first acknowledge his two mighty achievements. If not for the military victory over the LTTE we would today almost certainly be living under a confederal arrangement amounting to a de facto Eelam. The other achievement is that with consummate political skill he has saved this country from one of the worst scourges that could have befallen it, a military government, though that has been at the price of allowing an excessive intrusion of the military into the civilian realm. On the negative side, he is clearly veering towards an absolutist dictatorship with the eighteenth amendment, the ridiculous impeachment of the Chief Justice, and much else. On the ethnic front there has been no political solution for the Tamil ethnic problem, which could have fateful consequences in the future, and he has allowed the eruption of yet another ethnic problem, the Muslim one. Sri Lanka could be moving towards another doom-laden 1989. It is understandable that many Sri Lankans should feel that we have arrived at a cross roads again. There are several common factors in the two political trajectories that I have outlined above. All our Governments since 1977 have followed market-oriented economic policies, but that is not seen as a factor leading to a political cross roads in which we have to turn desperately to an alternative road. Two other common factors are seen as leading to the present cross roads: dictatorship and the failure to solve ethnic problems. We are still a quasi-democracy, but the drive towards absolutist dictatorship could become irresistible because a known fact about power, differentiating it from victuals, is that the appetite grows in the eating. As for our ethnic problems, there has been a failure to solve them but there have been no mass murder of minority members. That however could follow because Islamophobic extremists – who indisputably have a privileged position with the Government -profess to believe that the Muslims pose an existential threat to the Sinhalese. We could be well on the way to another 1989. It should be understandable that many Sri Lankans today feel that we desperately need to turn towards an alternative political road. The burden of this article is that the desideratum over-riding everything else in Sri Lanka is the unity of the nation. This article is not being written from a partisan political standpoint. A new President, or for that matter a Prime minister under a Parliamentary system of government, can make himself a dictator if the conditions are propitious for that. And of course our politicians can go on mucking and wrecking our ethnic relations as they have been doing since 1948. We need new thinking about building an inclusive nation. We need, not necessarily a new Party in power, but a new road in our politics. Hitherto the majority assumption has been that there is no need to build a nation because it already exists: this is the land of the Sinhala Buddhists, or it is the land of the Sinhalese inclusive of the Christians, while the minorities are no more than visitors. This has led to a deep sense of alienation among the minorities. It has also, I believe, aggravated the divisiveness among the Sinhalese themselves. What could be the reason? I have identified two factors – the drive towards dictatorship and the failure to establish ethnic harmony – as having led to the disastrous situation that prevailed in 1989, and those same two factors are threatening to lead us again to another 1989. I suspect that those two factors are really one and the same. A dictatorship can be assumed to have a tendency – not inevitably so but a tendency – towards division and hierarchy. A dictator places himself above the people, and he and his coterie constitute an elite that is above the people, which means that the tendency to division and hierarchy is at the very core of dictatorship. Furthermore, that tendency applies not just to the minorities but to the majority ethnic group as well. That is why under the dictatorship of President JR the ethnic problem got completely out of hand, the result of the hierarchical principle being taken to an extreme, and that is why after the IPKF troops came here the Sinhalese slaughtered each other, showing that the divisiveness extends to the majority as well as the minorities. Sometimes a dictatorship puts up a meretricious show of unity, but the ethnic and other divisions erupt violently once the dictatorship breaks down, as in Iraq, the former Yugoslavia, and the former Soviet Union. Sri Lanka’s ethnic problems can be solved only under a fully functioning democracy. I have raised issues in this article that evidently require in-depth treatment. As that will not be possible within the ambit of a single article, I will conclude by merely mentioning some facts that we must bear in mind about national unity. How did the West gain its ascendancy so easily over Asia? Contemporary scholarship rejects the familiar notion of Western dynamism and Asian decadence because the evidence shows that Asia remained economically and culturally dynamic in the eighteenth century. Pankaj Mishra in his book The Revolt against the West and the Remaking of Asia argues that the ascendancy was due to the West’s superior skills for "industrial civilization", more simply for organization, for acting as members of corporate groups, churches, or governments. In my view behind it all was the nation state which enabled a far higher degree of unity than was possible under any other state formation. The interested reader should take a look at the DVD of the film Invictus. Under apartheid the South African blacks used to cheer any foreign team playing against the legendary white South African Springbok rugby team. After apartheid the Springboks were faring miserably and didn’t seem to have the faintest chance of winning the World Cup. Nelson Mandela took charge and resorted to concrete measures to make the South African blacks support the white Springboks, who proceeded to win the World Cup spectacularly. It was a victory that had behind it a deep sense of national unity. All our politicians should view that DVD.